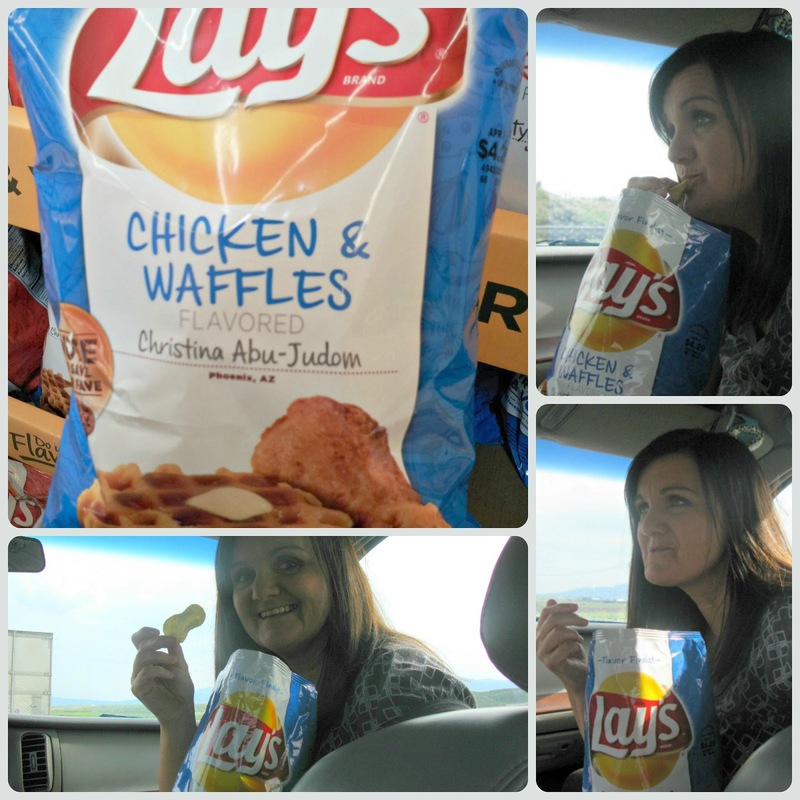 I know Chicken and Waffle Lay's Chips are not "NEW" but they are to me. After hearing many opinions on these chips, I have wanted to try them myself. Only problem, I have searched everywhere and couldn't find them. Well I finally found a bag while on a road trip and gave them a try. They were by no means yucky but definitely not yummy either. I myself would never buy them again. If I am going to eat something fattening, it's gonna be some other flavor of Lay's chips that I really love! If you have tried these, I can't wait to hear what you thought about them! Hahah, weird! I want to get it, just to try it! I know huh! That's exactly how I felt, so I kept looking until I found a bag. LOL! I have wanted to try them myself. I haven't yet, but I plan on it when I see them. Usually I am a salt and vinegar girl. :) Thanks for sharing your opinion. I'm dropping by from Our Everyday Harvest's blog hop. Hope you can stop by too. I kind of liked them. My husband -- who has brought home some truly awful flavors of Lays chips -- thought they were the most disgusting thing on the planet.